This award is given to someone who supports community efforts to address substance abuse prevention, increase education and outreach, and integrate primary and behavioral health. As leader of the Charleston C2000 Coalition for over 16 years, Lester has worked tirelessly facilitating, creating, and implementing youth and adult community services in Mississippi County. His dedication and passion has contributed greatly to many individual persons and program successes. Individual successes are clear when you talk to youth and adults that refer to Lester as their friend, greatest supporter and confidant. 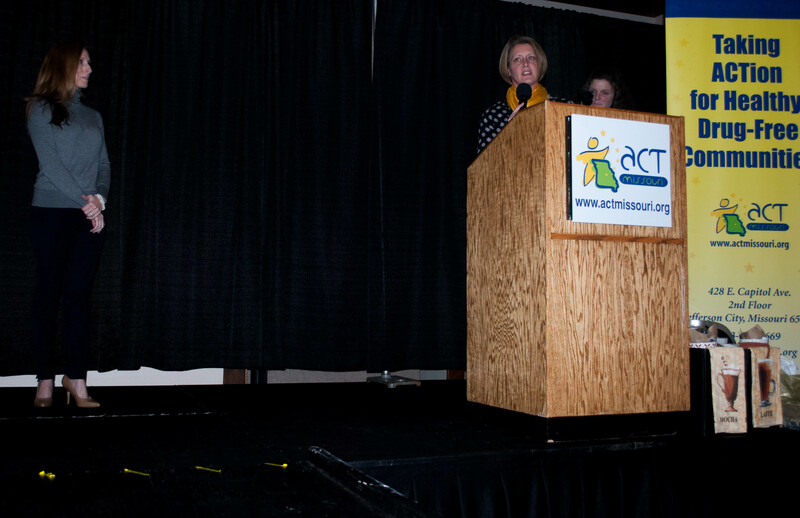 Program successes include running a strong year around, multifaceted after-school program for At-Risk youth. The great programs built by the coalition with his leadership include substance abuse & violence prevention education, social skill set learning, tutoring, community service projects, as well a great physical activity component. 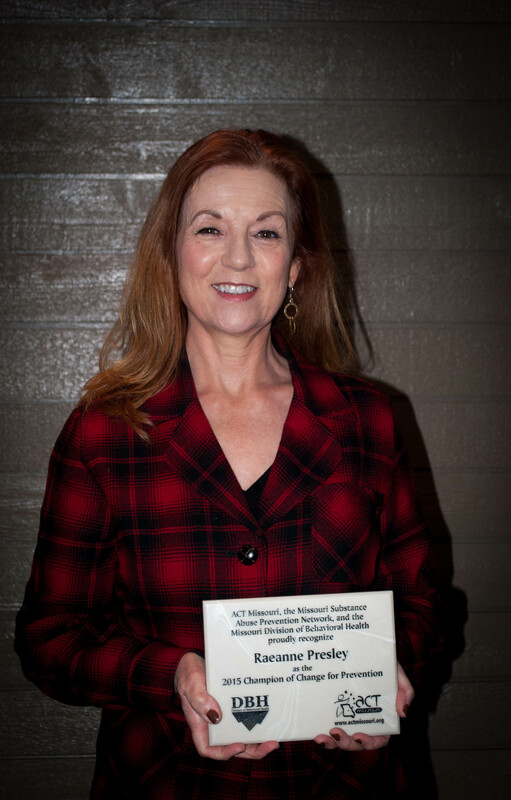 The Coalition of the Year award celebrates a coalition’s sustained level of excellence. Since 1991, Youth Alliance has worked alongside member organizations to prevent teen substance abuse, to help create quality early childhood education opportunities and to help teens find ways to serve their community while learning new job skills. They have dedicated 20 years of time, talent and resources from their partners and members toward placing their youth on top as a community asset. Together, they are setting the tone for their community by promoting youth asset development, community engagement and responsibility and the value of early childhood education. The Youth Alliance’s mission is to engage with community partners in practical ways in order to improve the lives of children and families. The Milestone Award celebrates a coalition’s specific success in FY2016 in the area of outreach, advocacy, media, education, or training. CRUSH (Community Resources United to Stop Heroin) has worked tirelessly to advocate for environmental and policy changes. Due to the composition of CRUSH and the weight member agencies carry within the communities they serve, the St. Louis area has been able to see numerous positive changes. St. Louis has become Missouri’s leader in policies addressing opioid misuse. In the past year, the region has passed a first in the nation municipal prescription drug monitoring program in 2 municipalities, equipped every officer in Missouri’s largest law enforcement agency with naloxone, passed a municipal Good Samaritan law, and established the first prescription drop box in the City of St. Louis. These environmental changes constitute a comprehensive approach to addressing the opioid epidemic, and in some cases is already saving lives. CRUSH has truly reached a milestone achievement that other community organizations can and will emulate. The Milestone Award celebrates a coalition’s specific success in FY2016 in the area of outreach, advocacy, media, education, or training. 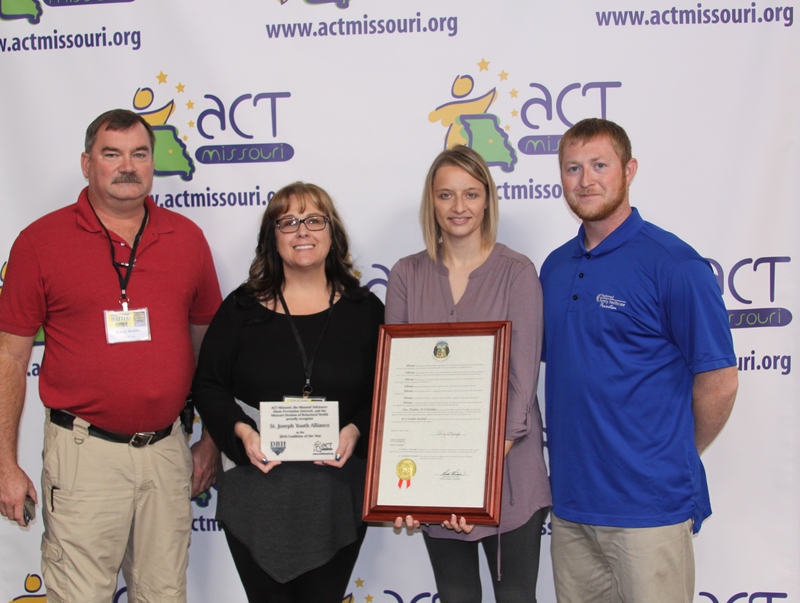 Lee’s Summit CARES has spent a tremendous amount of time creating a safe environment for the youth in their community while strengthening youth resilience to refuse alcohol, tobacco, marijuana and other drugs. They have done an excellent job educating their community and training volunteers on the impact of substance use on youth brain development, academic achievement, motivation, potential for addiction and related youth-impact topics. Lee’s Summit CARES has worked with volunteers to mobilize residents, state legislators, county governments, and local municipalities to work within current federal law to prevent the spread of marijuana distribution and use in Lee’s Summit. Their dedication to this issue and it’s effect on the community proves that they truly believe in their mission statement to “direct, support and actively coordinate efforts of the community to prevent and reduce youth substance abuse, promote youth safety and thereby improve the health and well-being of the community”. Lee’s Summit CARES is aware that the legalization of marijuana directly impacts their youth-focused mission and they have shown their determination to do something about it. This award is given to individuals who have dedicated their careers to prevention in Missouri. 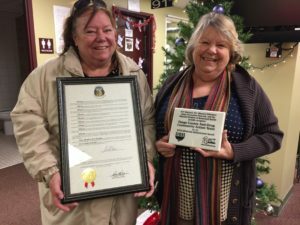 Donna of Morgan County CLEAR, Community Leaders Educating About Resistance, has dedicated her life to supporting her community in its efforts to increase education, to promote healthy behaviors, and to reach out to all segments of their county’s diverse population. Prior to retiring to become MC CLEAR’s grant coordinator, Donna was a teacher, a Summer School Director, a Vice principal, a Principal and Title 1A Coordinator. 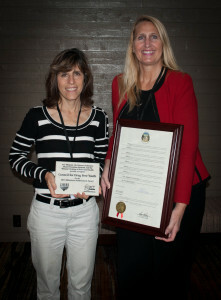 She has spent her life working with youth and working to provide healthy, safe opportunities for youth. Even in retirement Donna has not left the schools and the students she worked so hard for during her career. 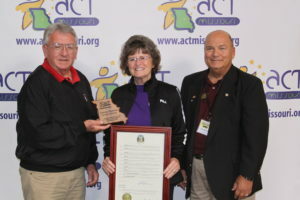 As grant coordinator of MC CLEAR since its inception in 2006 and as Planning Director for Citizens for Health and Wellness since 2010, Donna’s commitment to her county, to its citizens and especially to its youth in promoting healthier homes, healthier schools, and healthier workplaces has made her their local Champion. This award is given to individuals who have dedicated their careers to prevention in Missouri. 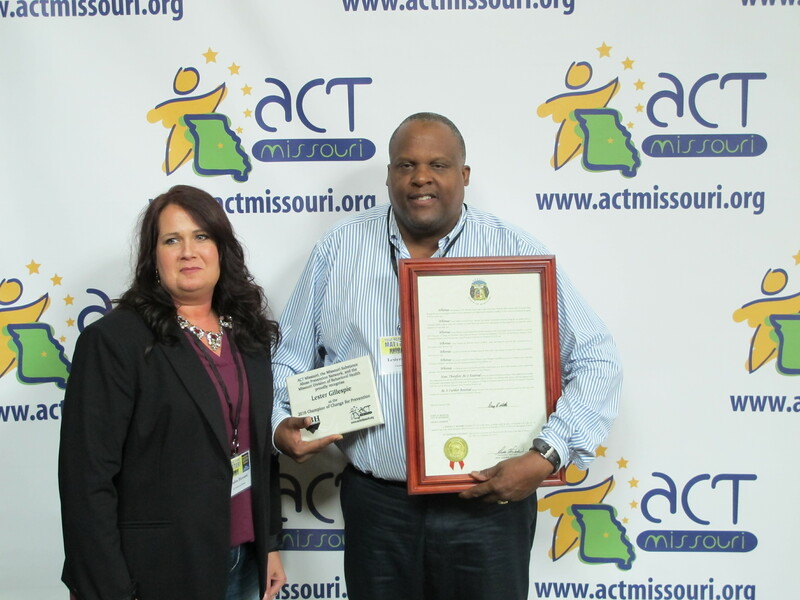 Jamie Scott was always the professional who was dedicated to the prevention of substance use throughout Missouri. 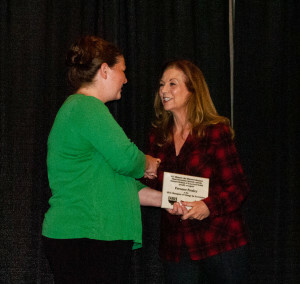 Jamie was awarded a Masters of Social Work from the University of Missouri and spent 15 years at the Department of Mental Health in the Certification Division, the Medical and Clinical Review Unit, and the Quality Improvement and Managed Care Section. 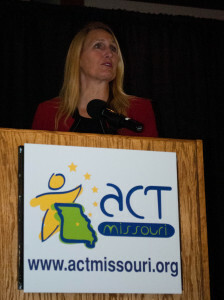 In 2004, Jamie joined ACT Missouri as the Director of Contracts and Collaborations. This position enabled many community coalitions to access funding to provide the best prevention services possible throughout Missouri. She was a Missouri Advanced Certified Substance Abuse Prevention Professional through the Missouri Credentialing Board. She had a strong passion for prevention because, like many of us, had addiction in her family. She loved working with communities to change the environment in which our children are raised. Jamie was a funny, witty, and just a kind soul. Jamie lost her battle with cancer in July 2015. Her husband Buddy Scott accepted the award on her behalf. We are happy to announce the 2016 Prevention Conference Schedule At-A-Glance! We hope you will be able to join for this exciting learning and networking opportunity! *Your name tag will be required to enter all meals, breakout sessions, and conference related events. 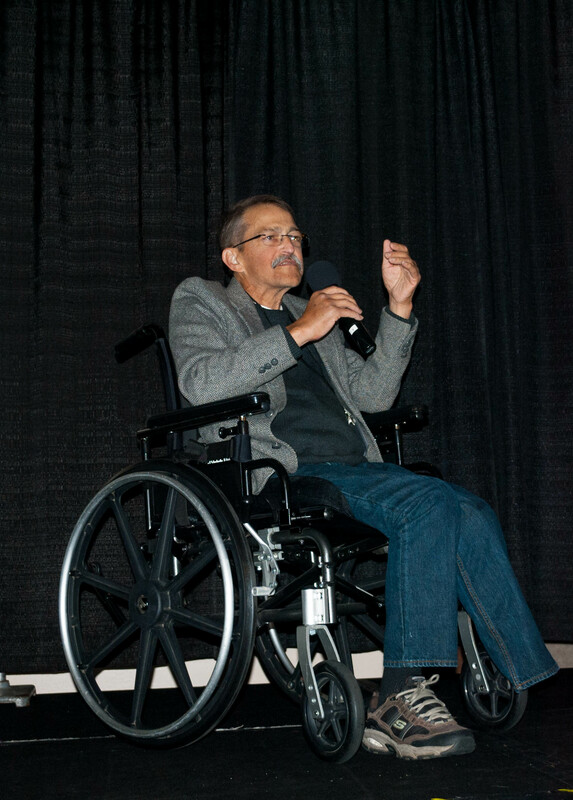 Gary Hillebrand was employed at Preferred Family Healthcare for nearly 26 years as a Prevention Specialist. 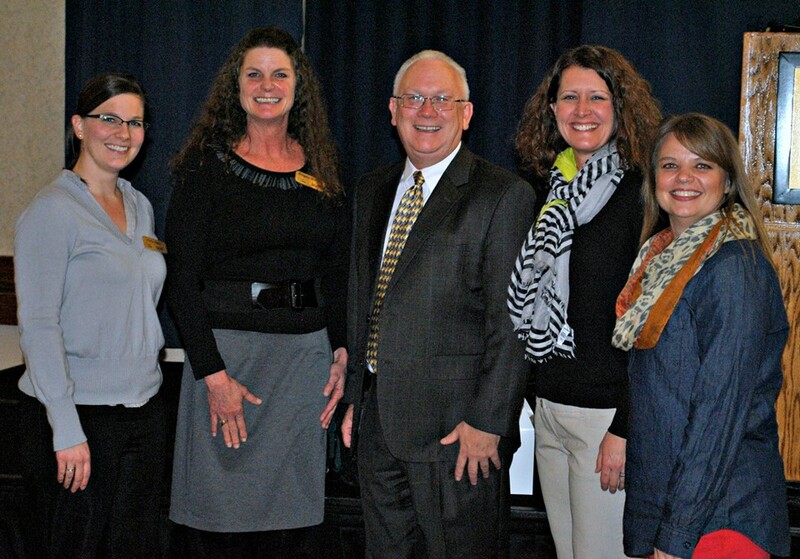 Primarily serving the nine counties in Northwest Missouri, Gary provided specific technical assistance and training to various community coalitions. Gary has over 20 years of experience in community prevention and educational coordination, and he served as a consultant and trainer for anger management, peer assistance education, motivational interviewing, and public speaking. It’s safe to say that Gary has been a tremendous asset to PFH and the statewide prevention network. He is the passion and heart behind what we do. Gary is compassionate, caring, nurturing, encouraging, thoughtful, and a great communicator. He is the ultimate team player, hardworking, and committed to everything he does, and he can be counted on by anything that is asked of him. As wonderful as he has been as an employee, he is an even better human being. His heart is genuine. Gary has had to overcome a lot of obstacles in his life, but he’s done so with a lot of perseverance and a sense of humor to go along with it. We want to thank you for everything you’ve done for PFH, the prevention world in Missouri, and as a friend. Thank you for being such an inspiration to all of us. Linda Frost, MACSAPP, worked at Family Counseling Center, later Compass Prevention, for nearly 15 years. She started as a Prevention Specialist and soon became Program Director, then later Prevention Development Director. At the time of her retirement, she oversaw a service area of 29 counties. Her career also included 14 years doing prevention work in the public health and education sectors. 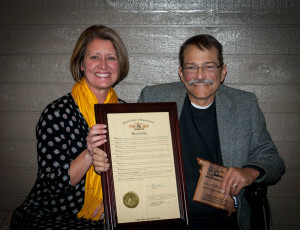 Linda was honored in 2014 by the University of Missouri-Columbia for outstanding prevention service, which was one of the highlights of her career. Linda’s greatest privilege was being able to work with fellow staff members, other preventionists, coalition members, and community members to help make the world a better place. Rep. Holly Rehder, represents parts of Scott, and Mississippi counties (District 148). She was elected to her first two-year term in November 2012. 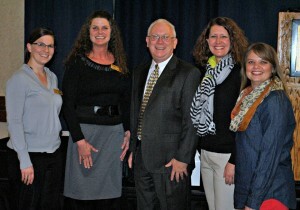 Rep. Rehder has been a strong voice for prevention in Missouri. She is an advocate of a Prescription Drug Monitoring Program, and travels across Missouri sharing her story of how prescription drug abuse has affected her family. 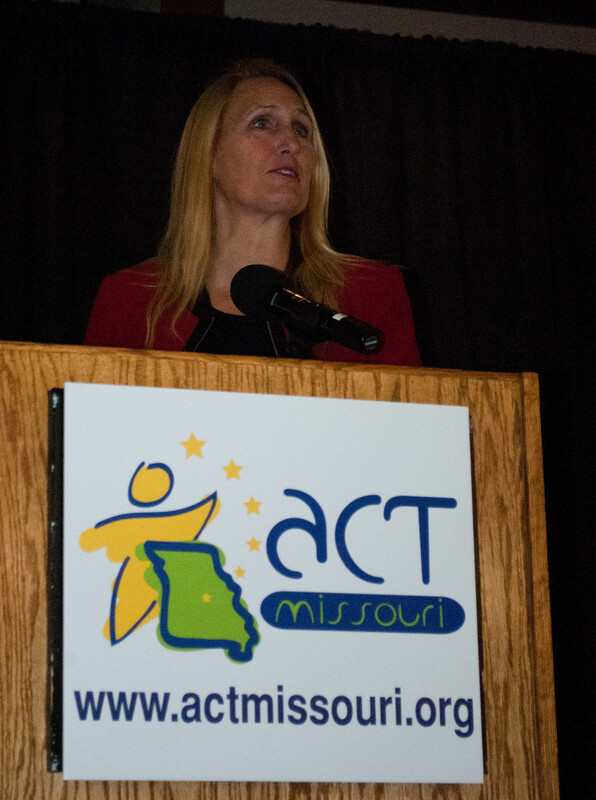 She was the closing keynote at the 2014 Substance Abuse Prevention Conference, and has volunteered to speak at Press Conferences with ACT Missouri on the issue of prescription drug disposal. 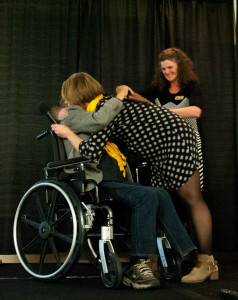 Raeanne Presley is a founding member of the ADAPT coalition. 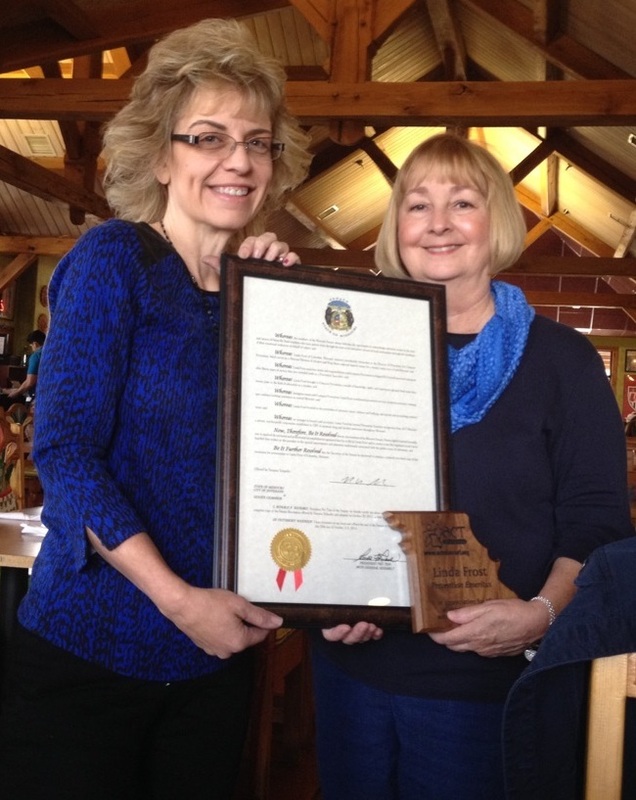 She has been instrumental in the coalition’s expansion of prevention to other communities in Taney County. She has acted as spokesperson for the coalition and helped coordinate and moderate several SAMHSA town hall and other community meetings. Raeanne has been a resident of Branson since 1968 and is a co-owner of the first music theater to open on the famous 76 strip. She hosted the annual DARE program graduation ceremony at her theater for 20+ years. As the co-leader of the coalition, Raeanne traveled to Indianapolis in August to attend the CADCA Mid-year conference and shared the strategies that she learned with the coalition upon her return. She strives to improve the effectiveness of the coalition’s work and develop the next generation of regional prevention leaders. During her tenure as the mayor of Branson, Raeanne was invaluable in helping the coalition educate policymakers and the public about the importance of smoke-free policies to prevention and public health. 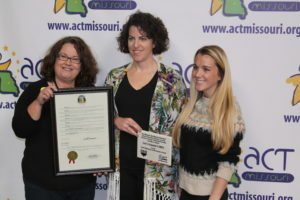 She also successfully advocated for changes to the local alcohol ordinance in Branson, which now includes Responsible Beverage Service Training for retailers, quarterly compliance checks, and a cap on the number of retail licenses. 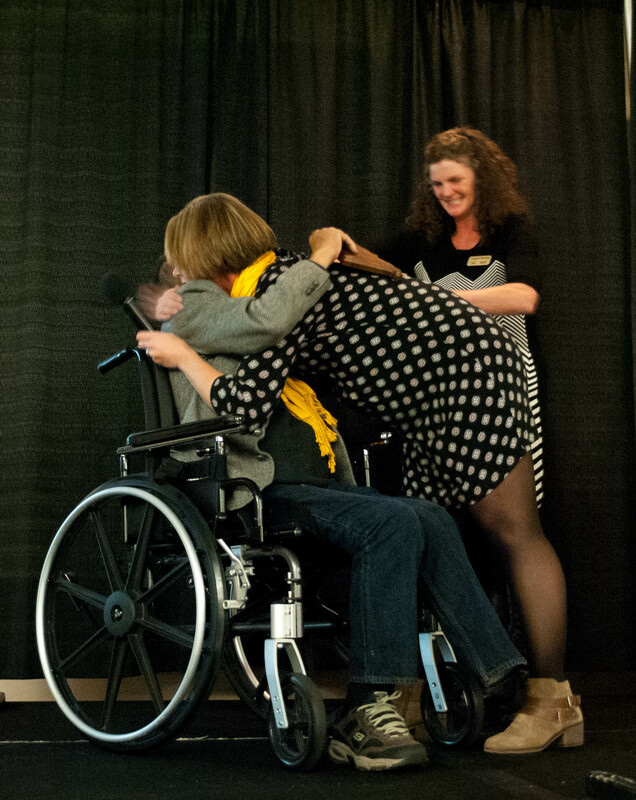 She regularly serves as a volunteer at ADAPT events and participates in other community improvement efforts. 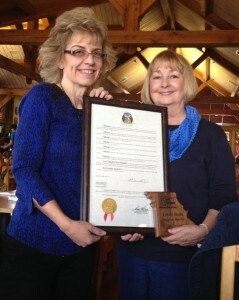 This includes service on multiple nonprofit boards including the Community Partnership of the Ozarks from 2011-2014, Cox Hospital Branson, was the former past president of the Missouri Tourism Commission, Missouri Municipal League Vice President, OTC Foundation Board, and was awarded the 2009 Missourian Award for contributions to the state. 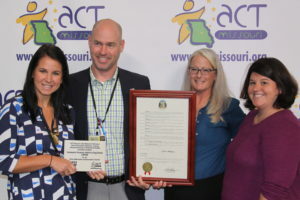 Without Raeanne’ s leadership and generous spirit, the coalition would not have had the successes that it has had in efforts to reduce substance use among Taney County youth. 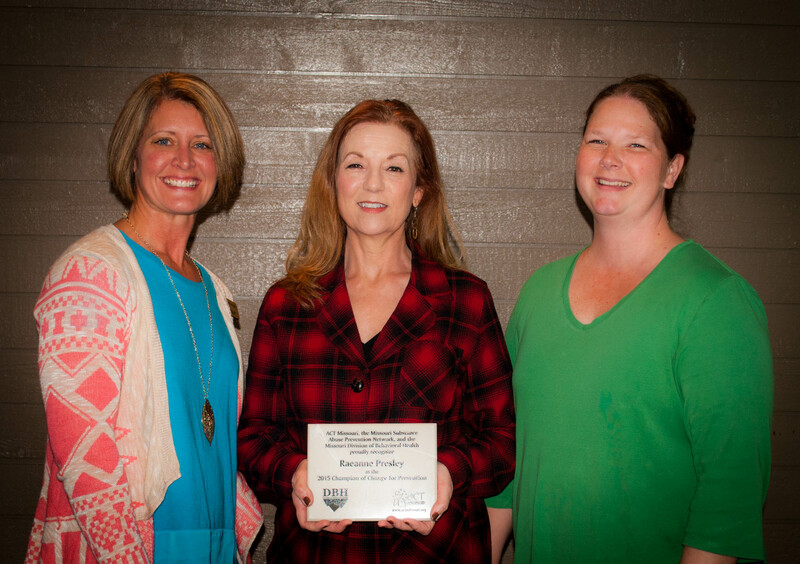 Raeanne Presley deserves to be recognized as the 2015 Champion of Change for Prevention and we are grateful for her time and dedication to the coalition and to making Taney County a better place to live. Youth With Vision (YWV) is a student-led, coalition made up of 40 high school leaders from Clay, Platte and Ray Counties. Students who apply for YWV must be positive, drug-free role models who are committed to fighting the devastating effects of alcohol and other drug abuse. 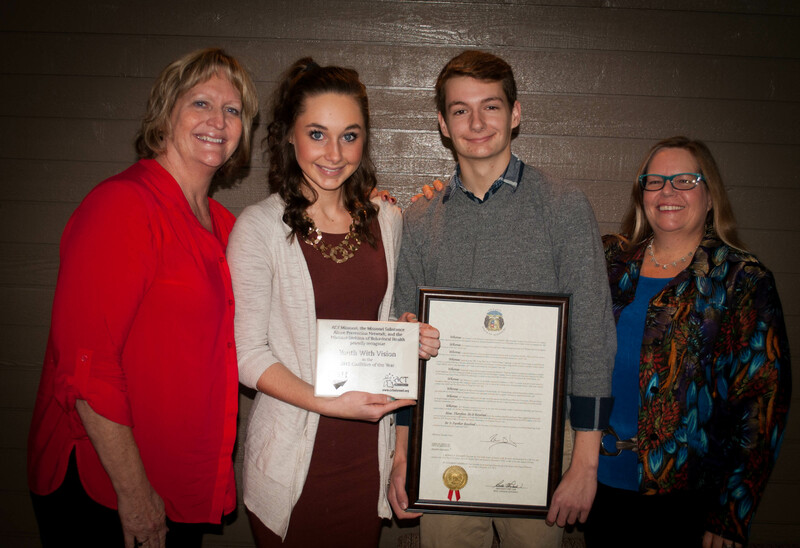 YWV was established in 1994 and now serves as the youth advisory council for local prevention coalitions, Tri-County Mental Health Services, the Northland Coalition and statewide prevention agencies. They have been registered as an active DMH-DBH coalition since 1996. 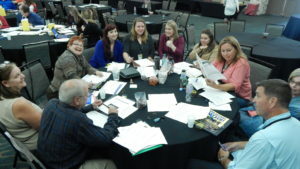 Members lead evidence-based prevention efforts within their own schools and communities and help to coordinate area and statewide prevention efforts. Local and state passage of Banning of synthetic drugs, K2, Ban of AWOL Devices, Keg Registration, Open House Parties and MIP By Consumption laws. The Today Show featured their Wall of Fame and Shame. 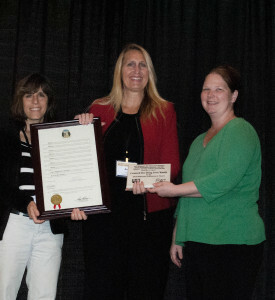 Received the Robert L. Northcutt Award for outstanding contribution to Public Health Legislation. 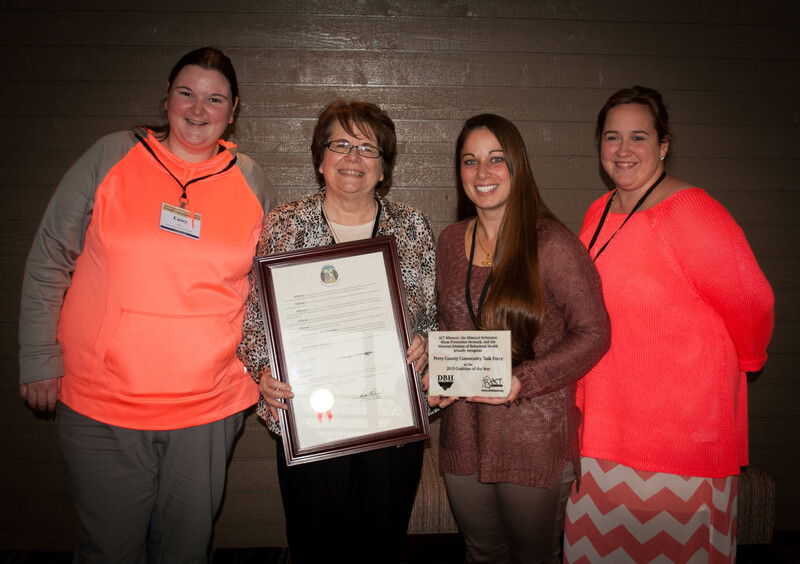 YWV co-chairs awarded the President’s Volunteer Service Award by President Bush. Participated (by ONDCP invitation) in a small roundtable discussion (12 people) with the President of the United States followed by a national press conference and then a celebratory reception at ONDCP with the Drug Czar, John Walters. The first community survey indicated there was a need for substance abuse prevention in 1996. The Task Force started in 1995 to address issues in the community. The Task Force has continually been expanding its services and programs. Each year the coalition has a quality assurance meeting to ensure the needs of the community are being met by the programs offered. The Task Force’s focus is on youth issues-helping youth overcome their disadvantages to become the best they can be. The coalition’s motto is: Helping today’s youth become tomorrow’s leaders. All of the programs have arisen from identified community needs. In 1998, the first program was started through the coalition. Programs were implemented by the coalition to address alcohol and community efforts. School dropout rate has declined as well as use of substance abuse, due to the ongoing programs the Task Force provides. 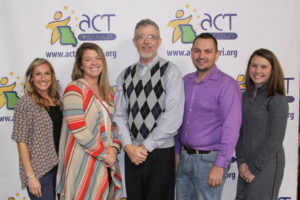 Task Force worked behind the scenes to connect a local school to best policy and practices after a pact suicide attempt. The Task Force also worked behind the scenes with a local civic organization in obtaining permanent prescription drug boxes and disposal of the drugs. CDFY has dedicated itself to substance use prevention education to the 3rd – 12th grade students in the schools within the City of Jefferson and its surrounding area by providing programs that engage students in critical thinking, problem solving, coping skill information, and team building. CDFY also recognizes that parental education and involvement are crucial to fighting the use of alcohol and other drugs within the City of Jefferson and its surrounding area and excels in the knowledge that its parents and youth coalition members choose to be advocates of the CDFY Mission Statement. Bob Carlson coordinates all nonprofit and charity law issues for the Missouri Attorney General’s Office. He frequently investigates and litigates cases in all areas of state nonprofit law. Bob is also a past president of the National Association of State Charity Officials (NASCO) and is co-leader of the ongoing Cancer Fund multistate case – one of the largest charity fraud cases ever brought. 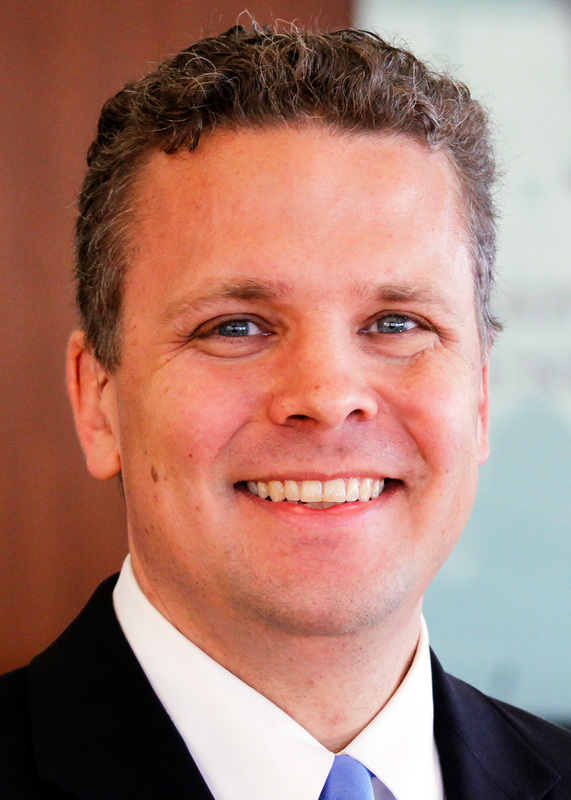 Bob also teaches a seminar on Nonprofit Organizations at Saint Louis University School of Law and often speaks on topics concerning state Attorney Generals’ regulation of the nonprofit sector and fundraising law. Bob will discuss the laws governing Missouri nonprofit corporations with an emphasis on governance and fundraising issues over lunch on Tuesday. Register for the Conference before October 30, 2015! We are excited to announce that Jody Belsher, the Director/Producer of The Other Side of Cannabis: Negative Effects of Marijuana on our Youth will be at the 2015 Prevention Conference! She will be presenting the film and answering questions. The Other Side of Cannabis is an independent film project created by ordinary citizens with no political or economic affiliations or interests, other than bringing attention to the negative effects of marijuana on our youth–adolescents, teenagers and young adults whose brains are still forming. They are reaching out to our youth, as well as educators, medical and health professionals, researchers, and media, in addition to recovery and treatment center programs, behavioral health departments, law enforcement, and others who influence our youth. In order to make an informed decision to use marijuana, it is important to know the potential risks. This film is not about legalization nor medicinal treatments. While there may be times when components of marijuana are appropriate to use medicinally under proper medical guidance, the message that marijuana is safe, natural and harmless as a recreational substance, must be weighed against the evidence of associated risks. *You will be required to wear your name tag to each session, keynote, and meal. The 2015 Substance Abuse Prevention Conference schedule is now available! Be sure to register before October 30, 2015. 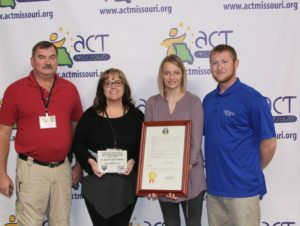 The annual Substance Abuse Prevention Conference hosted by ACT Missouri is held in the Fall at Lodge of the Four Seasons at Lake of the Ozarks. 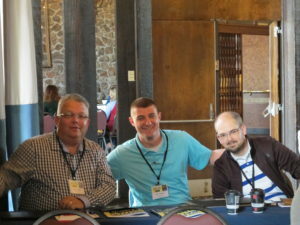 Participants are able to attend a variety of breakouts and network with other coalition members from across Missouri. 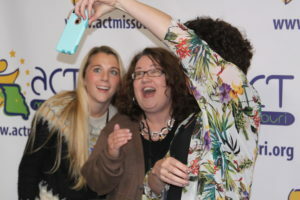 The Prevention Conference is a time for preventionists, community members, educators, and professionals from across Missouri to come together to learn and network. There are many local experts who are willing to share their expertise with our communities. 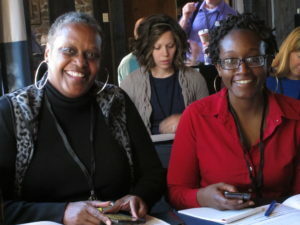 In past years, specialized tracks of workshops were offered on the latest technology, resources, and coalition building techniques including optional pre-conference sessions on various topics. Pre-Conference Speaker Announced: Join us ahead of schedule! The 2015 Pre-Conference will be held on November 16, 2015. The 2015 Substance Abuse Prevention Conference will follow on November 17-18, 2015. 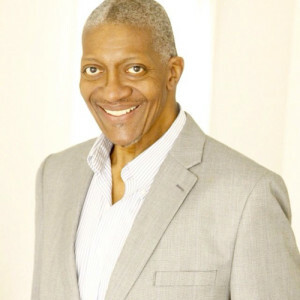 Milton Creagh, known professionally as Bigg Milt, has been an active part of the national drug awareness and prevention movement for over thirty years. In that time period he has spoken to students, parents, law enforcement and coalitions in 49 of our 50 states, Canada, the Carribean, South Africa, and Great Britain. He was the host and developer for the Parents’ Resource Institute for Drug Education, (PRIDE)’s “Parent to Parent” Program, to help minority parents raise drug free children. Bigg Milt also hosted the award winning PBS television Series, “Parenting Works”. Mr. Creagh has written two books: “Nobody Wants Your Child” which identifies some of the things parents may do in child rearing that contribute to their children being undesirable in the corporate workplace, and “Don’t Let the Pothead Drive Your Bus”, for teens and young adults to share life lessons to help them navigate the difficult waters of entering the world of Independence. 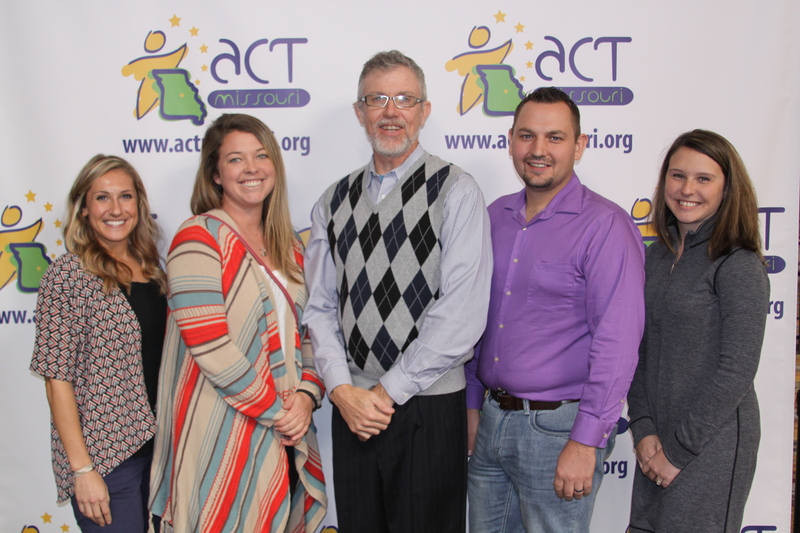 The 5th annual Substance Abuse Prevention Conference hosted by ACT Missouri was held November 18-19th at Lodge of the Four Seasons at Lake of the Ozarks. Participants were able to attend a variety of breakouts and network with other coalition members from across Missouri.. Scott Collier of the U.S. Drug Enforcement Administration spoke on the new changes with the National Rx Drug Take-Back Initiative, and Missouri Representative Holly Rehder closed the conference out with a keynote on the importance of a Prescription Drug Monitoring Program in Missouri. 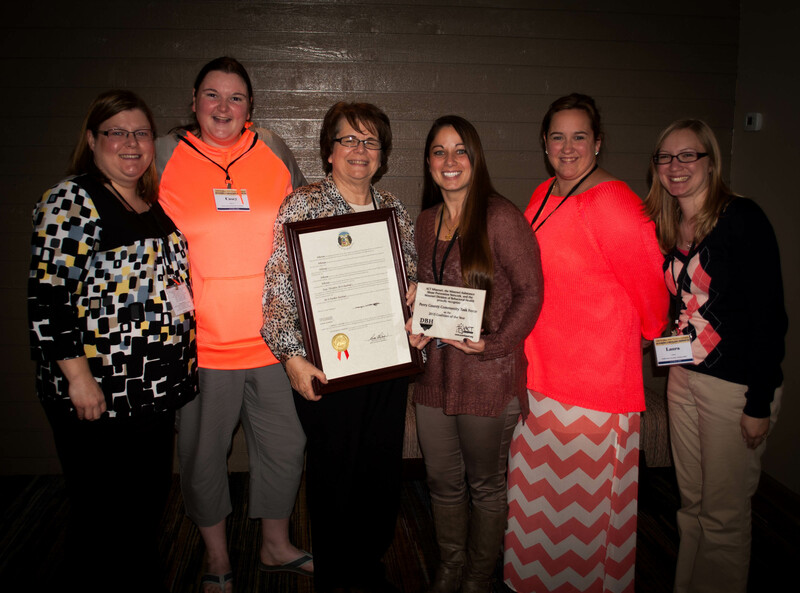 A highlight of the Conference is awarding the Champion for Change of Prevention, Milestone Award, and Coalition of the Year award. 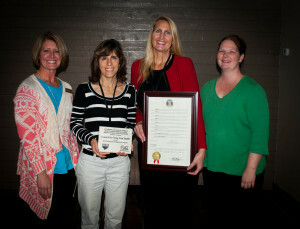 Nina Carter received the Champion for Change of Prevention award. This award is given to someone who supports community efforts to address substance abuse prevention, increase education and outreach, and integrate primary and behavioral health. 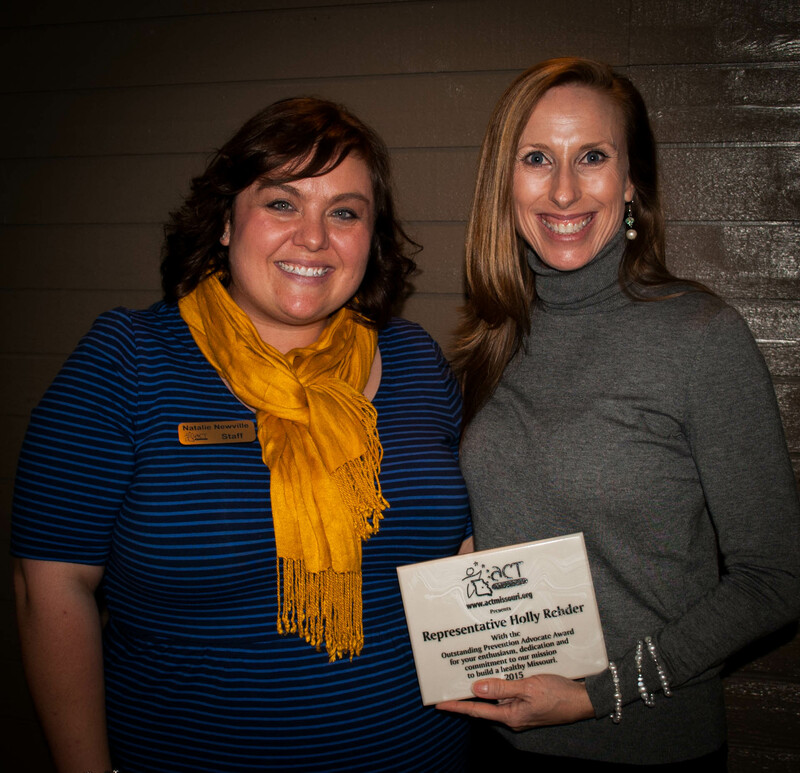 Nina has increased the capacity of the CHART coalition in Douglas County from 13 members to over 33 members and while including all sectors of the community wheel. She engages youth to become part of the coalition and makes them feel part of the decision making of the group. Her team minded spirit continues to drive the coalition along with her humble attitude, and work ethic. She empowers the coalition to grow and gives consistent reminders that the coalition is part of bigger picture of prevention and they are all part of a cultural shift. The McDonald County Coalition received the 2014 Milestone Award. The Milestone Award celebrates a coalition’s specific success in FY2014 in the area of outreach, advocacy, media, education, or training. 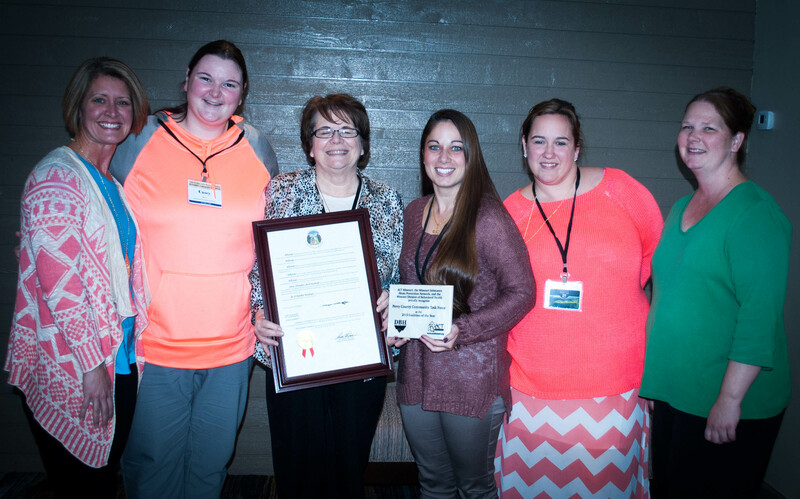 The McDonald County Coalition has only been an organized effort for 21 months and continue to impress with their motivation and willingness to learn the strategic prevention framework, set attainable goals, and work to implement and evaluate programs for the betterment of their community. They want to create positive change the right way. This Coalition has buy-in from all the community sectors and they have realized the impact they can make collectively. 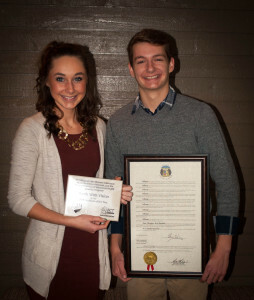 They will continue to do great things in the area of substance abuse and violence prevention for years to come. The Coalition of the Year awards celebrates a coalition’s sustained level of excellence. 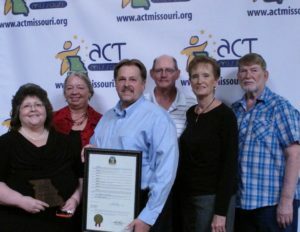 Lee’s Summit CARES has been one of the model prevention coalitions in the state of Missouri for over 25 years. Their dedication and motivation to reduce underage drug use has greatly benefited neighborhoods throughout the city of Lee’s Summit. Leadership has continued to be top quality in bringing together the community sectors that assist with prevention efforts. 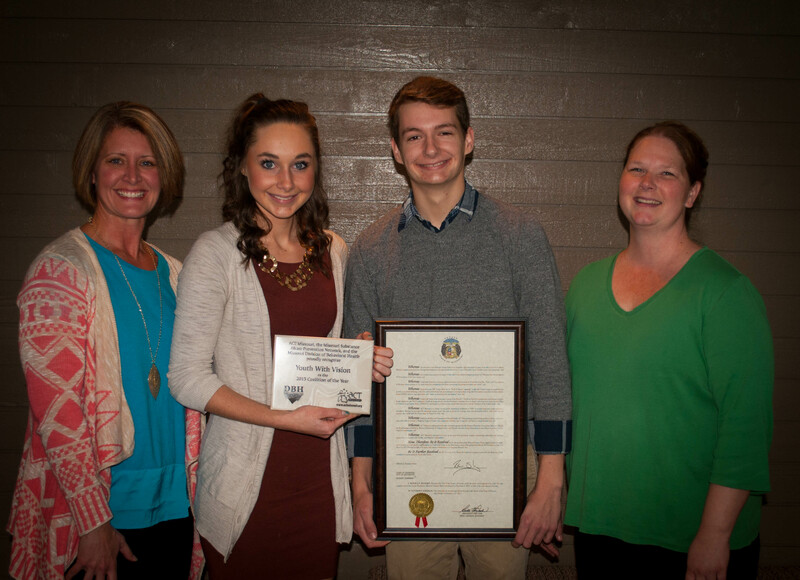 The Lee’s Summit CARES vision and mission ensure that Lee’s Summit is informed and educated about the dangers and consequences of alcohol and other drug among the youth in the community is what continues to drive this coalition to reach its goals. 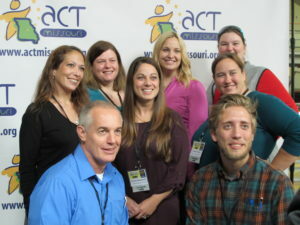 ACT Missouri is the statewide training and resource center for substance abuse prevention. Its mission is to be the statewide prevention catalyst, empowering individuals and fostering partnerships to promote safe, healthy, and drug-free communities. 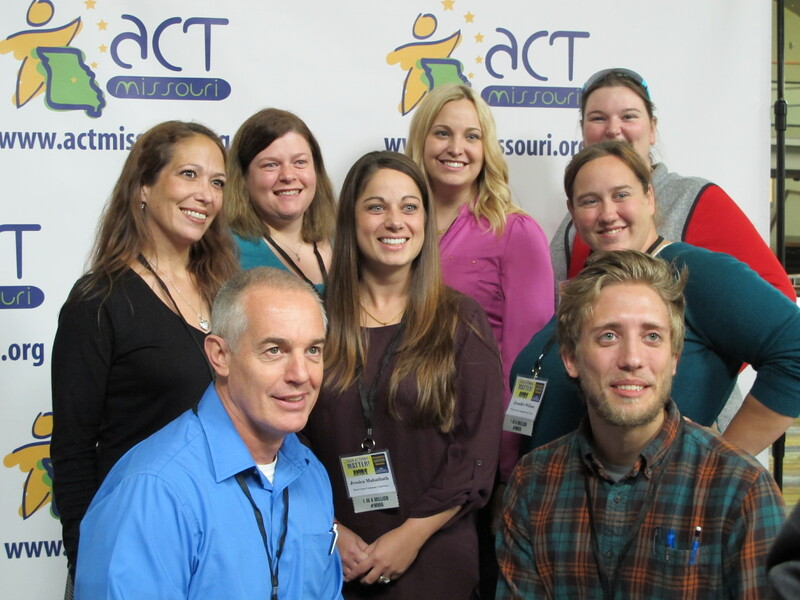 Here at ACT Missouri we are busy getting everything ready for the 2014 Substance Abuse Prevention Conference! We are very excited, and cannot believe it is already next month! fIf you applied for a scholarship, be sure to check your email! Award letters went out this morning. If you did not receive a scholarship, we would still like to encourage you to attend the conference. We have a great lineup of speakers this year! We would love it if you would share and RT any social media posts regarding the Conference! Remember to use #ACTAgentsOfChange for all Conference-related posts. That helps us find them and share them with all of our followers too!